HAZE-TSUBO AND IIDAKO-TSUBO (Dealer: Jinta) – Old Japanese fish traps. 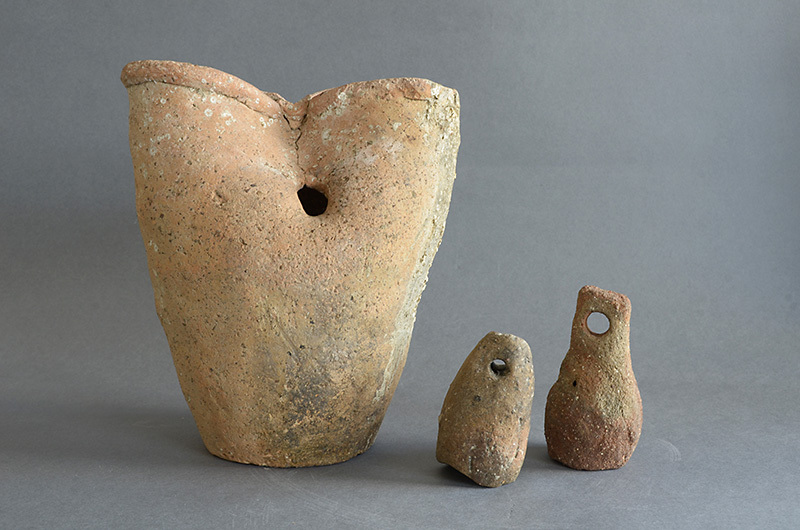 ‘Haze-tsubo’ pottery trap pot for goby fish, and two pieces of ‘Iidako-tsubo’ pottery trap pots for ocellated octopus. Meiji-Taisho period, early 20th century.